Plenty of neighbourhood trattorias sell themselves as cheap and cheerful, but few do it as well as Ciullosteria. The surroundings are kitsch without irony – classic terracotta floor tiles oddly offset by an enormous replica of a tomato purée tube, for instance – but that only adds to the charm. The raised section at the back is cosier and more suited to winter, while the airy front (with its small number of alfresco tables) is better in summer. The menu contains an enticing choice of thin-crusted pizzas with regional toppings (torino and genovese supplementing the usual fiorentina and napoletana), but the pastas and grills are also deservedly popular. There’s usually a good-value piece of thinly beaten veal too: on our visit, it came with a tangy, chewy topping of melted mozzarella and tomato. The practice of serving all non-pizza mains with sharing plates of roast potatoes and boiled or battered veg is a little too reminiscent of a school canteen. One tip: don’t come here for some hush – if it’s someone’s birthday, staff love nothing more than to crank up Stevie Wonder’s ‘Happy Birthday’ to full volume (sometimes playing it twice). Fantastic reasonably priced authentic family run italian! I'd recommend the aperol spritz (obvs!) and the Casarecce Con Filetto. Great atmosphere however it gets extremely busy after 7pm so book in advance. Fabulous atmosphere due to the friendly and helpful staff. Great menu and phenomenal portions so value for money. The food is delicious, great italian restaurant but not run of the mill. The best Italian restaurant I have been to (outside of Italy). Great service, brilliant food and a warm, authentic atmosphere. Lovely staff, freshly made produce and great Italian vibes! My local Italian, which I would gleefully travel too, if I had to, which happily I don't. The food, wine and service is all fantastic. My chef friend visited and we ate there twice in two weeks. A traditional Italian restaurant with no pretensions. Huge pepper mills are the way forward! Absolutely fantastic local place! The portions are huge, the dishes are delicious and authentic, the Italian service is friendly and the price was very reasonable. I'll definitely be returning, particularly for the fried mozarrella starter! What a great restaurant, excellent food, super friendly service and very reasonably priced. As a party of 7 we were made feel very welcome, and all of us really enjoyed the food. I would especially recommend the sardines starter and seafood spaghetti. A real find and we will definately be back. This has been my local Italian for years. I really lke it and the food (especially the pasta and pizzas which I tend to opt for) is good. 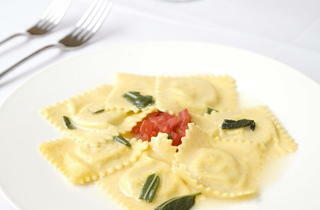 It combines good service and a friendly atmosphere with simple Italian food that just seems to be consistently great. It's reasonably priced so the danger is that you can end up there twice a week if you can't be bothered to cook. Try having a pre-dinner drink the the Duke of Devonshire pub next door and then try this place. It gets really busy on Fridays and Saturdays so worth booking. Wine is not priced stupdily and while I would love them to have draft Moreti or Peronni, the bottles keeping flying over to your table. They are very good with accepting kids and families and that can help a lot. A great local Italian restaurant, complete with super pizzas, pastas and southern Italian dishes served up by great staff. Always busy at the weekends! I'm from the US and I came to Balham to visit a relative. This has got to be my favorite restaurant I have EVER been to. The food is lovely and the service is amazing. They make you feel like family there and the suggestions are genuine. Everything I have had there has been delicious. 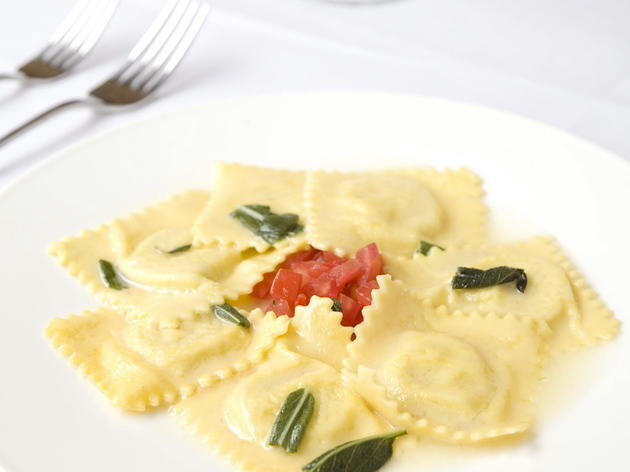 Consistently great food – whether four courses or simply a generous bowl of pasta or pizza. It's never disappointed us, friends, family and other relatives (Italian). If the owners were to ever suggest it may close there would be a local petition to ensure this gem stays open. I'd suggest you try it out! This is the BEST Italian in SW London. Food is amazing, service is lovely and prices are frankly too low, they could easily charge 1/3 more as the quality of food is outstanding. I would highly recommend this place to anyone that likes good, hone made Italian food.